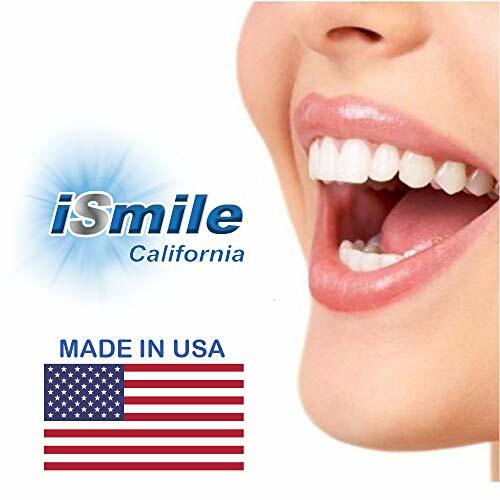 Nhà cung cấp: iSmile California - giá Amazon: 19.95$ - shipping rates and return policy. 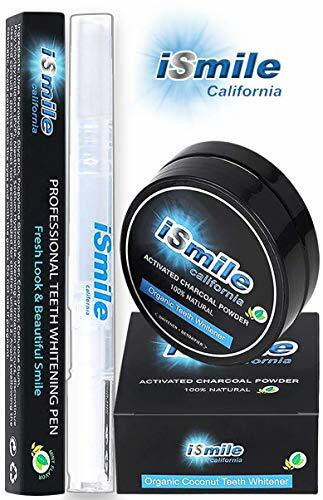 PrimeTimeDeals INC - giá Amazon: 19.95$ - shipping rates and return policy. 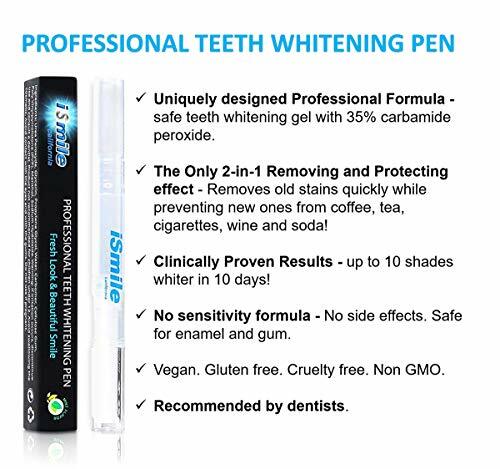 âœ”ï¸ (2 PACK) PROFESSIONAL STRENGTH TEETH WHITENING PENs - Our teeth whitening pen contains 35% Carbamide Peroxide, an FDA approved formula, to effectively and quickly remove years of stains caused by coffee, tea, wine, smoking, soda - Whiten your teeth up to 10 shades in just minutes per day! 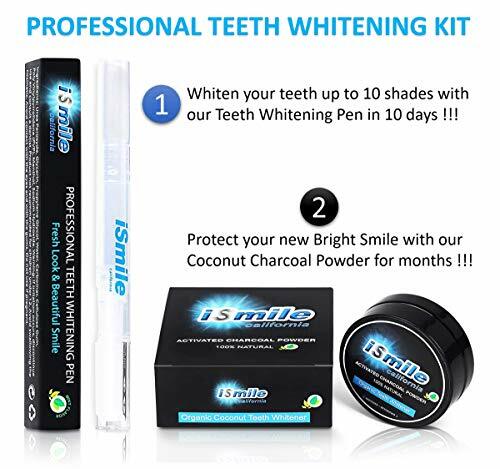 âœ”ï¸ NO SENSITIVITY TEETH WHITENING PENs - Enamel safe for fast results with no sensitivity with our NEW Carbamide Peroxide Formula - Quick, Safe, Painless and Long-lasting results! 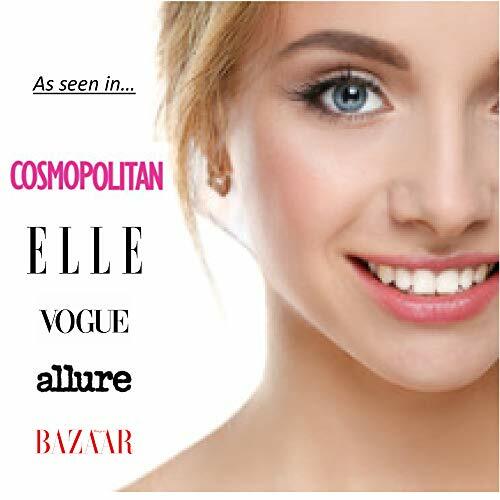 Professional Quality & Affordable (30+ uses). 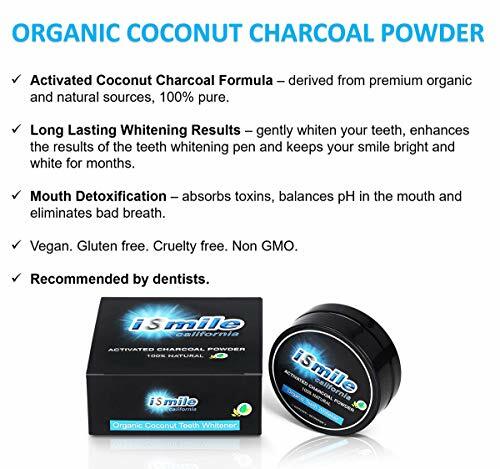 Its natural mint flavor will also keep your mouth feeling fresh!